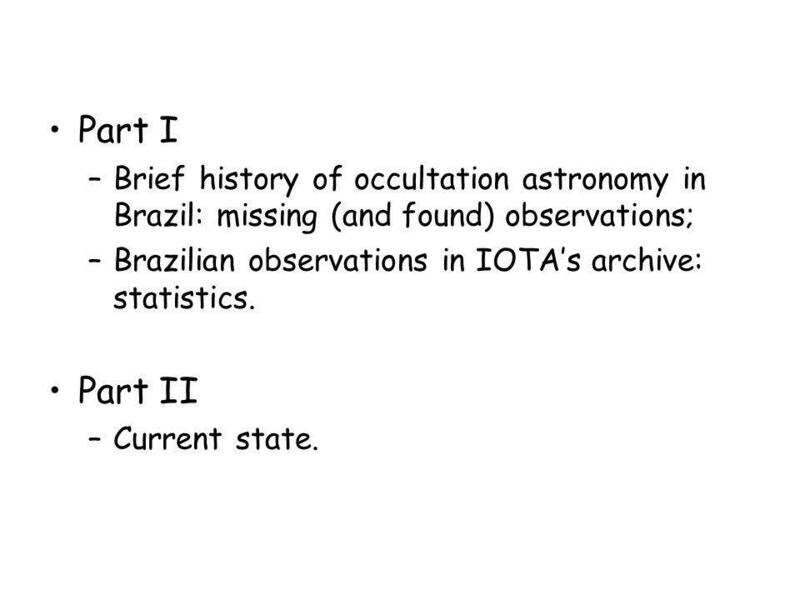 2 Part I Brief history of occultation astronomy in Brazil: missing (and found) observations; Brazilian observations in IOTA’s archive: statistics. 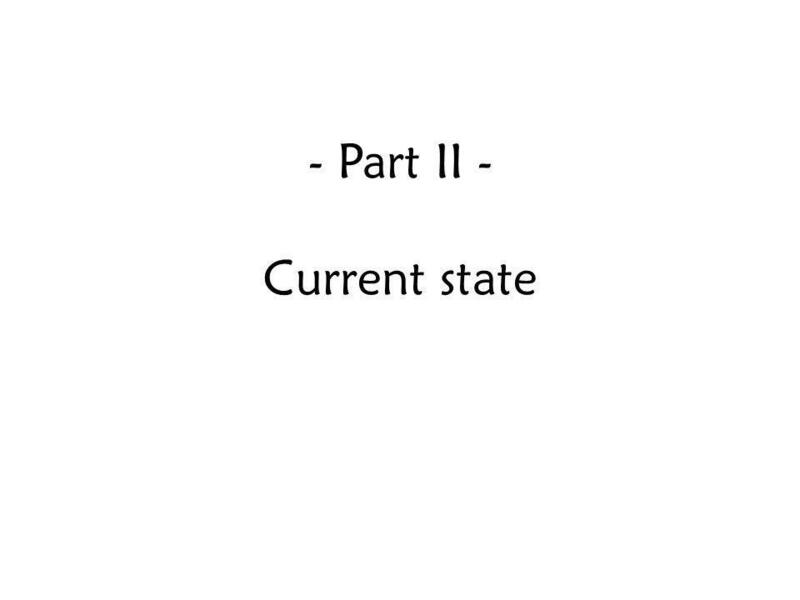 Part II Current state. 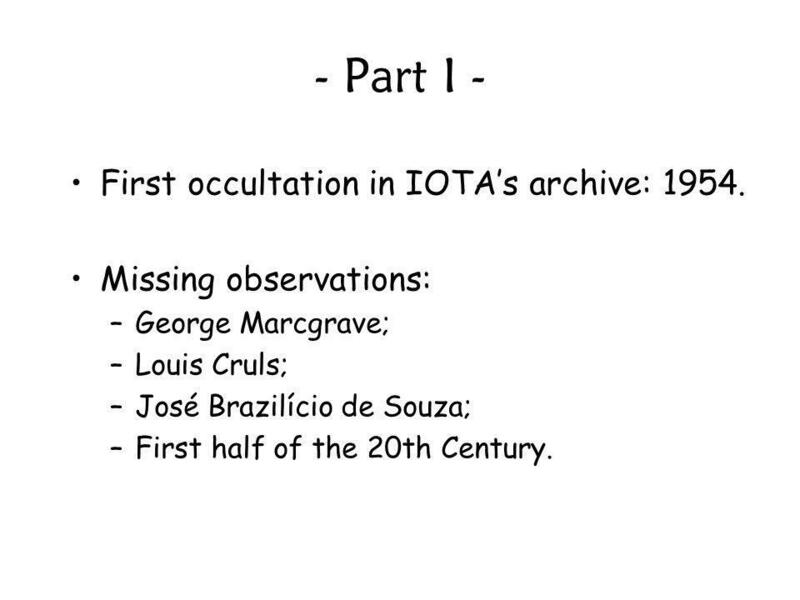 3 - Part I - First occultation in IOTA’s archive: 1954. 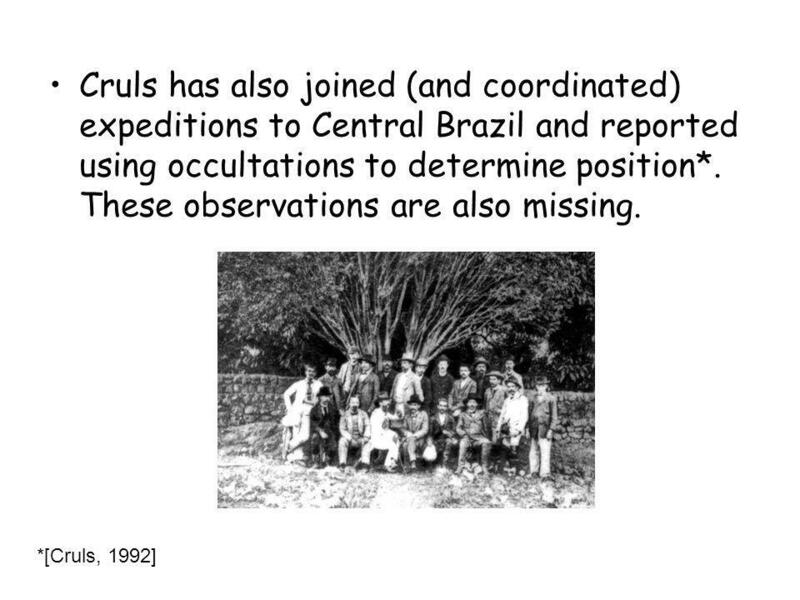 Missing observations: George Marcgrave; Louis Cruls; José Brazilício de Souza; First half of the 20th Century. 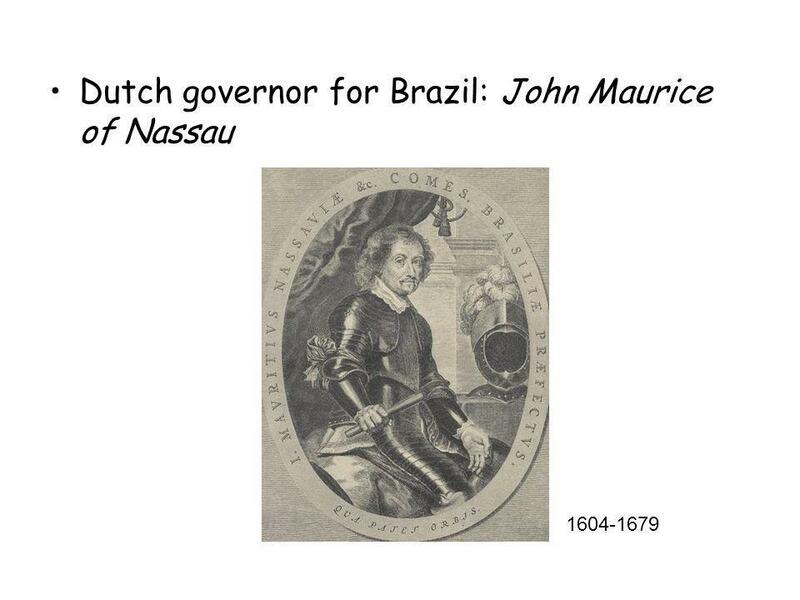 Historia Naturalis Brasiliae, 1st edition, 1648. 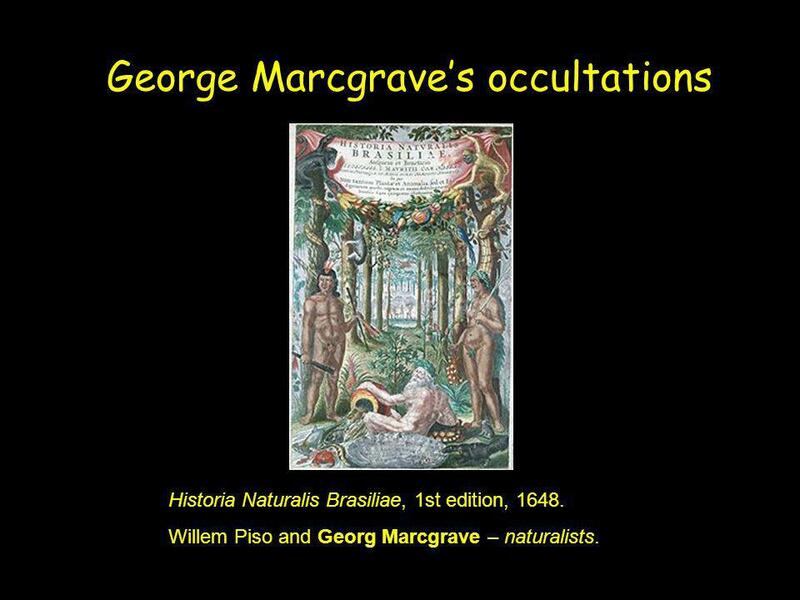 Willem Piso and Georg Marcgrave – naturalists. 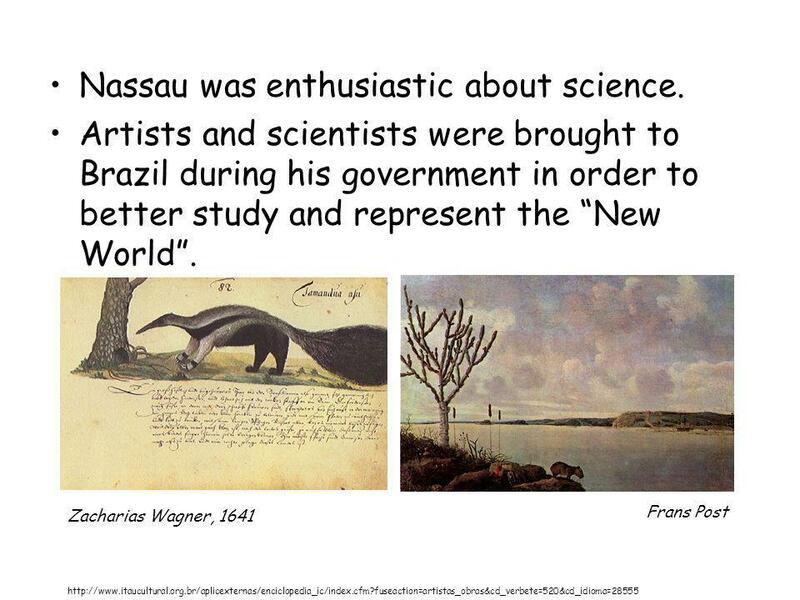 7 Nassau was enthusiastic about science. 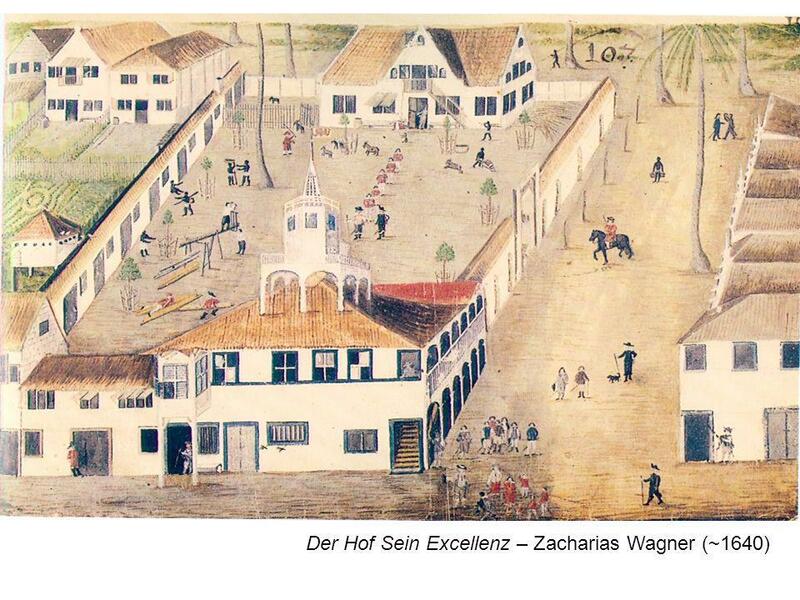 8 George Marcgrave 1610, Liebstadt, Germany – 1644, Angola. 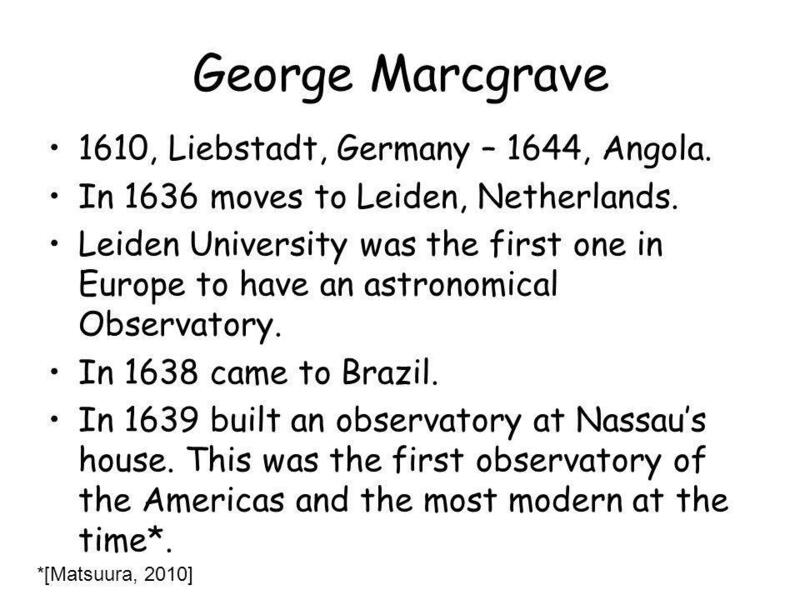 10 From this observatory Marcgrave observed lunar occultations of planets (for example: Mercury, 1639). 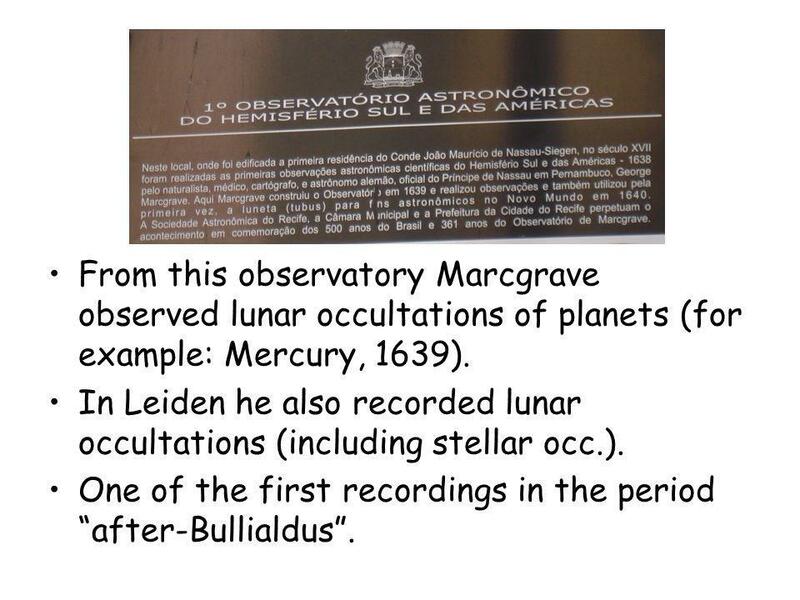 In Leiden he also recorded lunar occultations (including stellar occ.). One of the first recordings in the period “after-Bullialdus”. 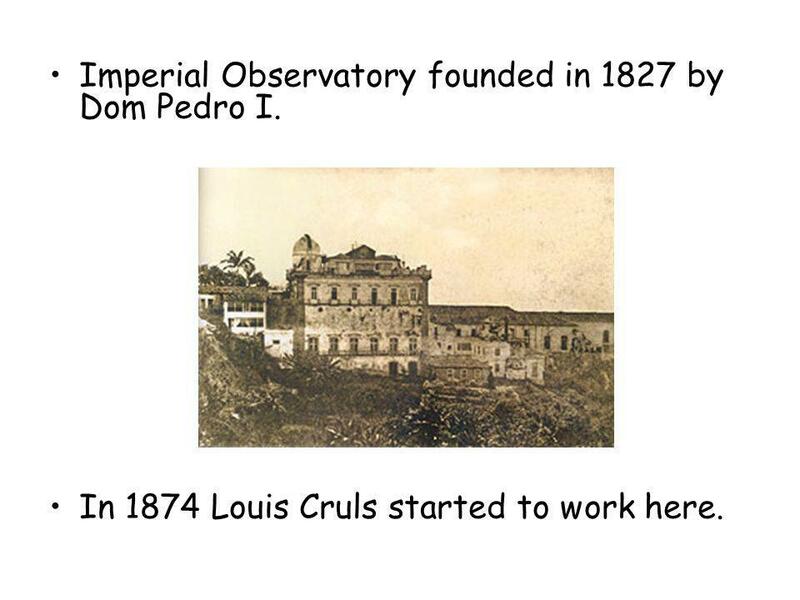 12 Imperial Observatory founded in 1827 by Dom Pedro I. 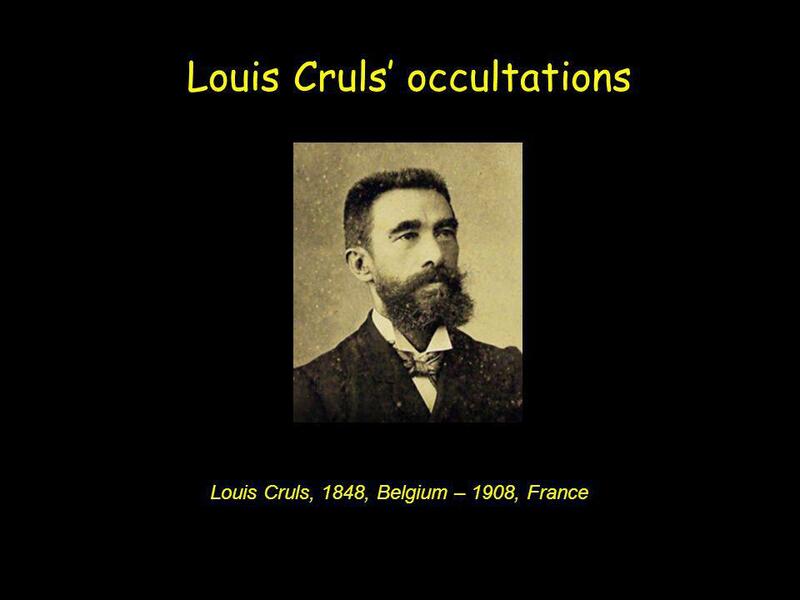 In 1874 Louis Cruls started to work here. 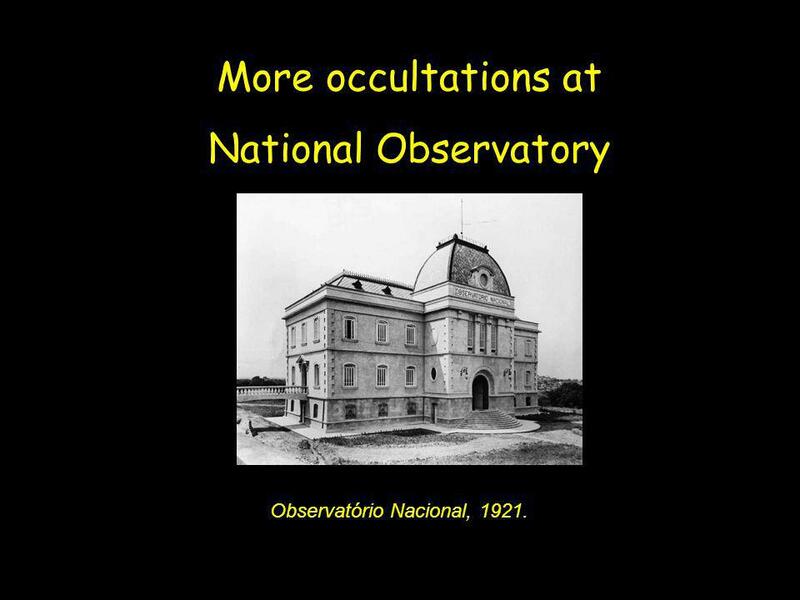 More occultations at National Observatory Observatório Nacional, 1921. 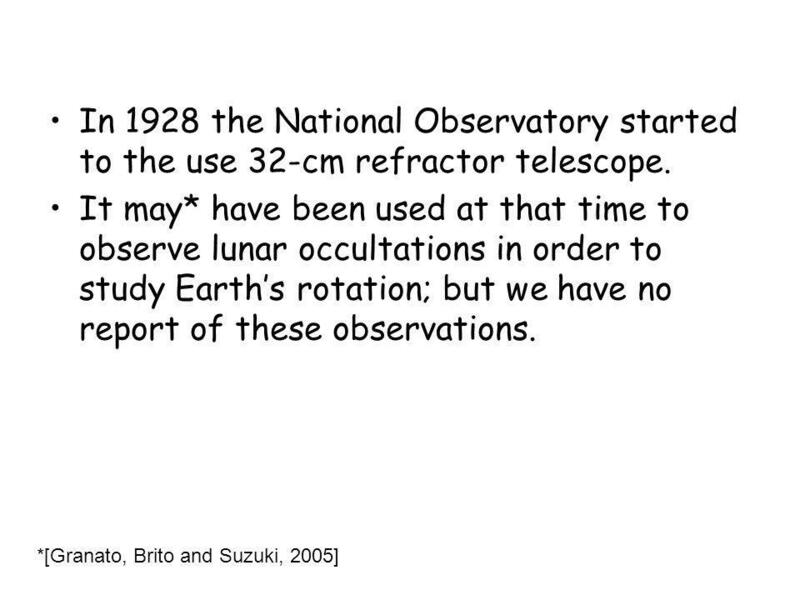 17 In 1928 the National Observatory started to the use 32-cm refractor telescope. 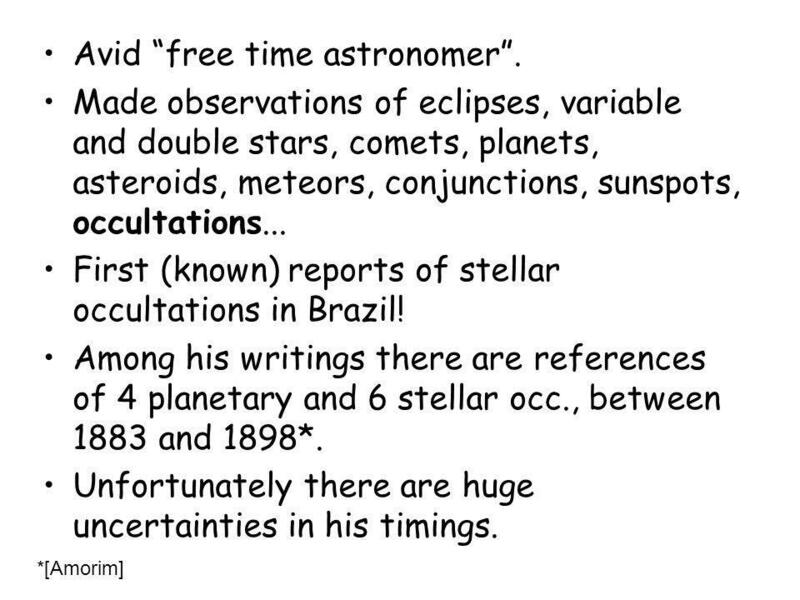 19 Avid “free time astronomer”. 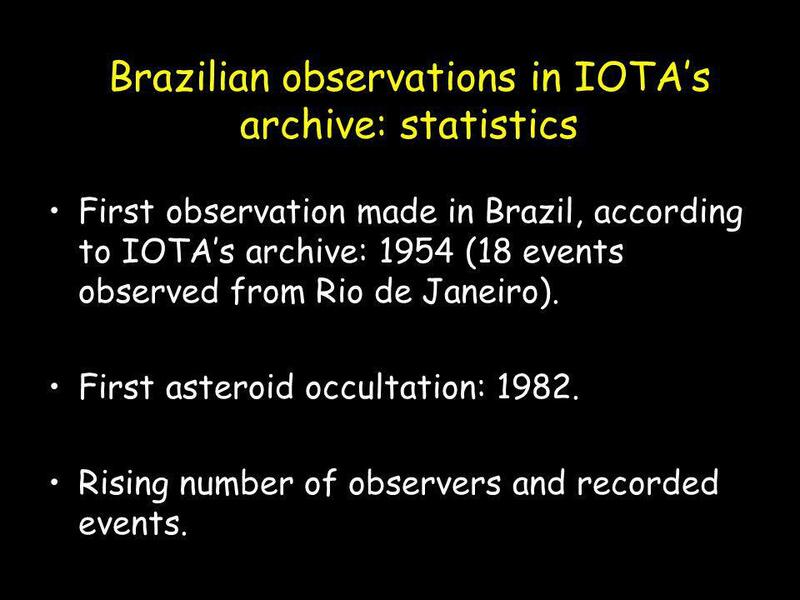 First observation made in Brazil, according to IOTA’s archive: 1954 (18 events observed from Rio de Janeiro). 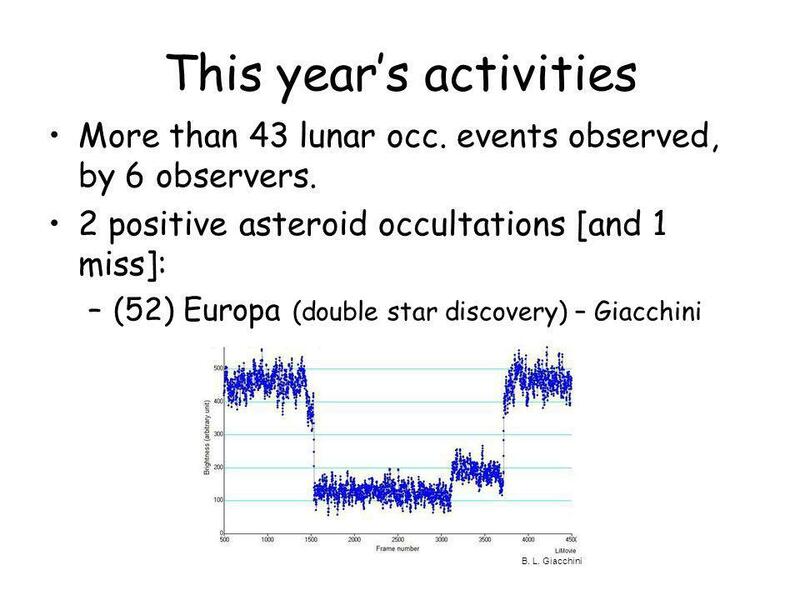 First asteroid occultation: 1982. 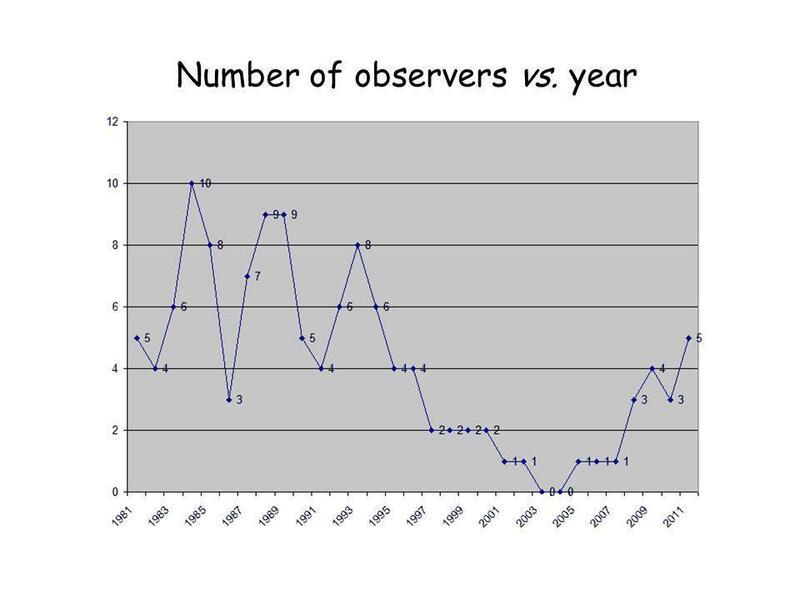 Rising number of observers and recorded events. 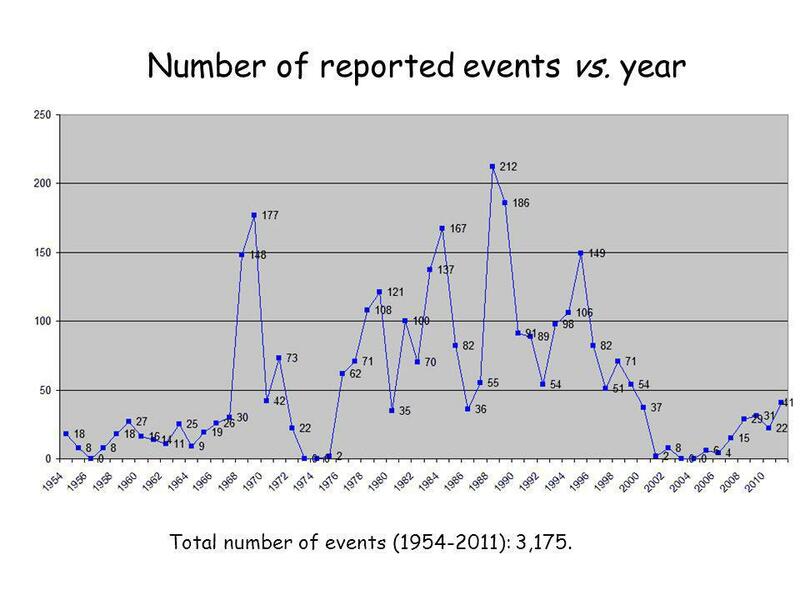 Total number of events ( ): 3,175. 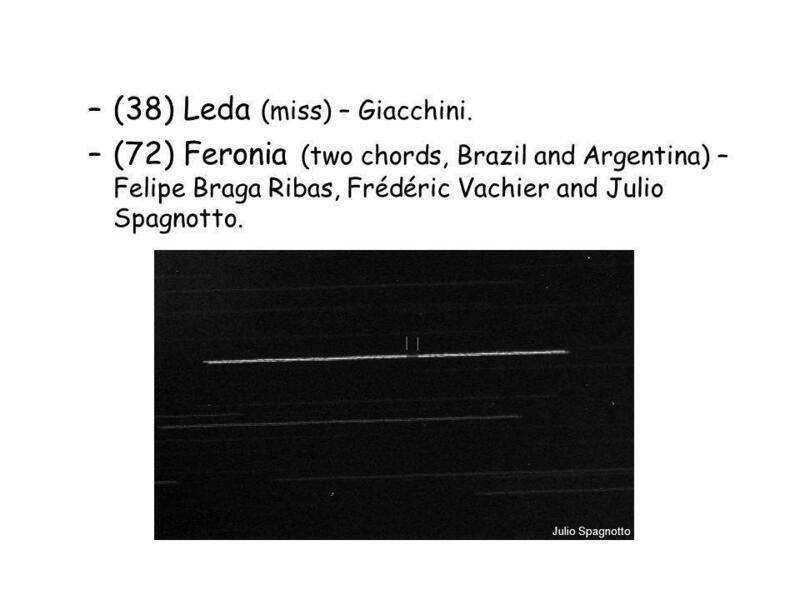 26 (38) Leda (miss) – Giacchini. 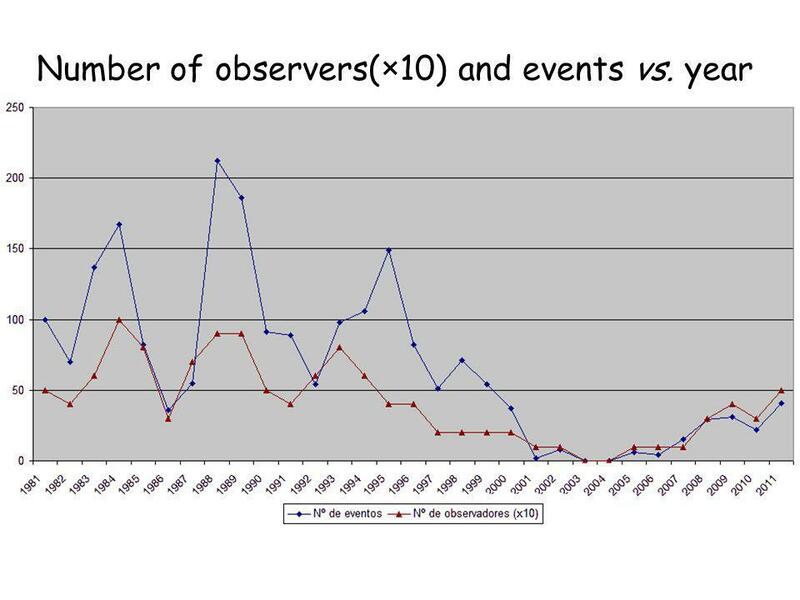 Creation of a network of observers Varuna occultation, Feb. 2010: more than 26 observers. 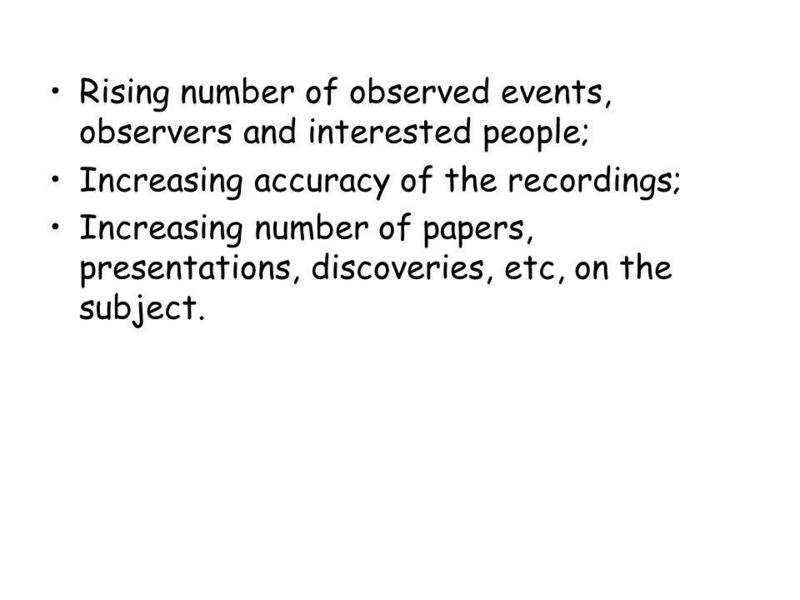 Increasing accuracy of the recordings; Increasing number of papers, presentations, discoveries, etc, on the subject. 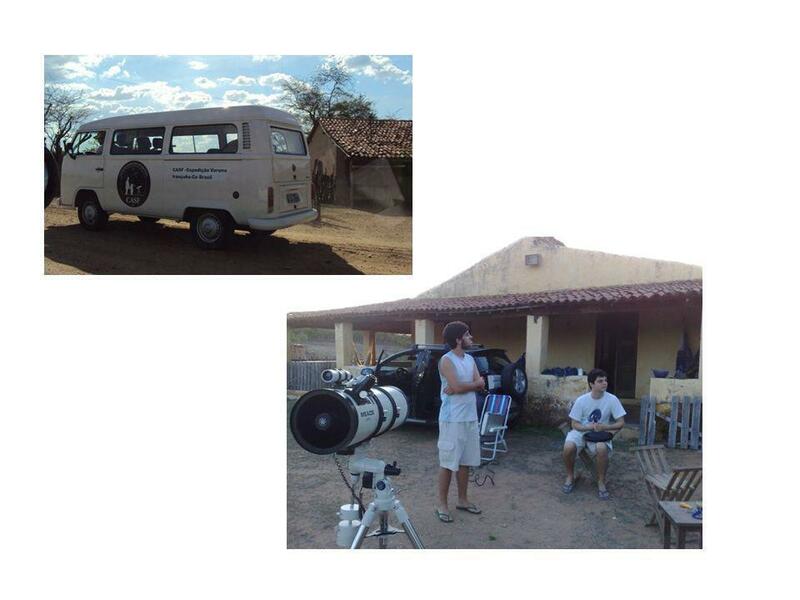 32 TNO Occultations Research group at Observatório Nacional and Observatório do Valongo – “Rio Team”. 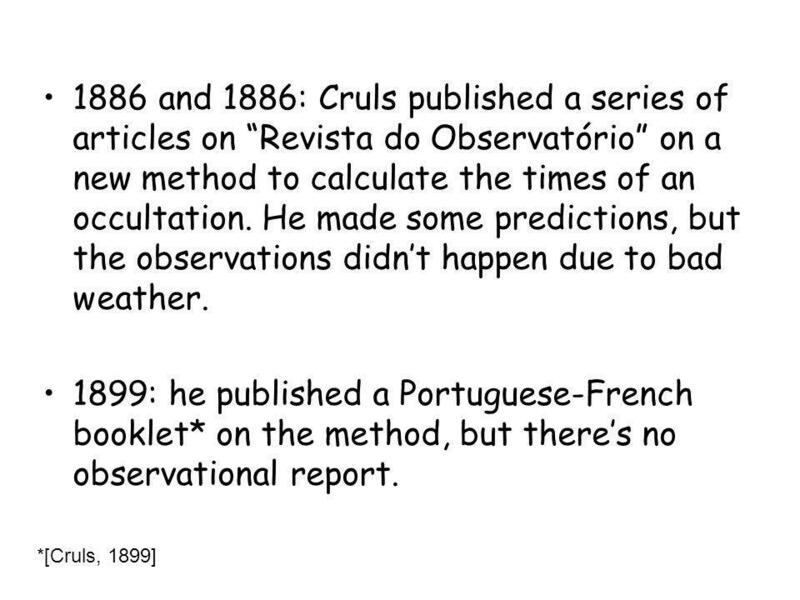 Prediction, observation, reduction. 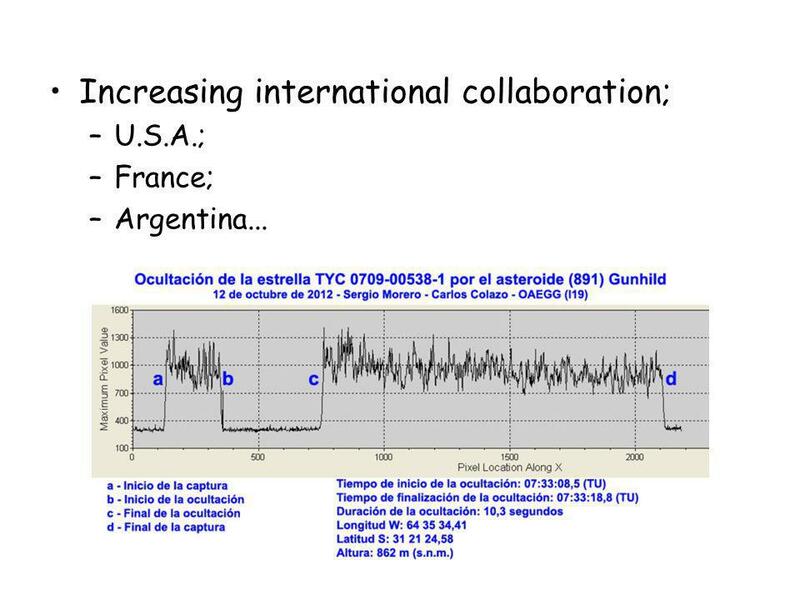 Partnership with Observatoire de Paris-Meudon. Breno Loureiro Giacchini Obrigado! Thank you! 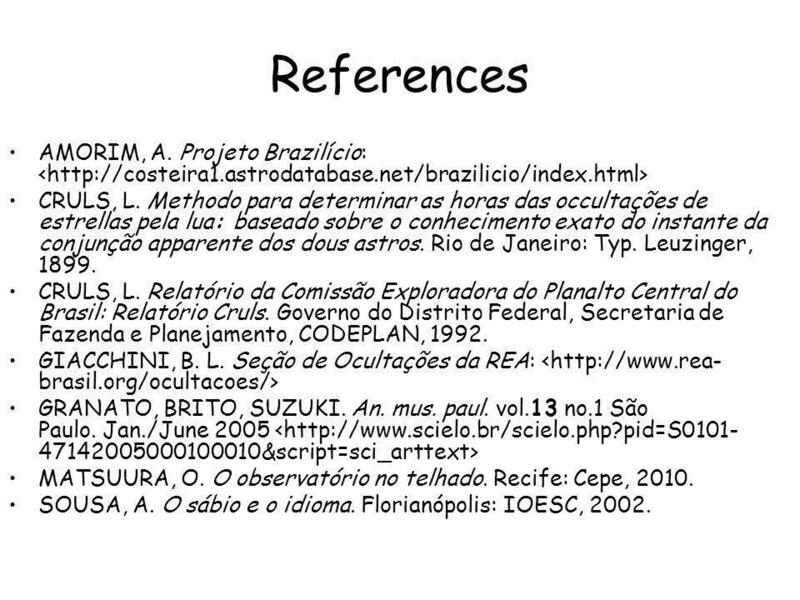 34 References AMORIM, A. Projeto Brazilício: < CRULS, L. Methodo para determinar as horas das occultações de estrellas pela lua: baseado sobre o conhecimento exato do instante da conjunção apparente dos dous astros. 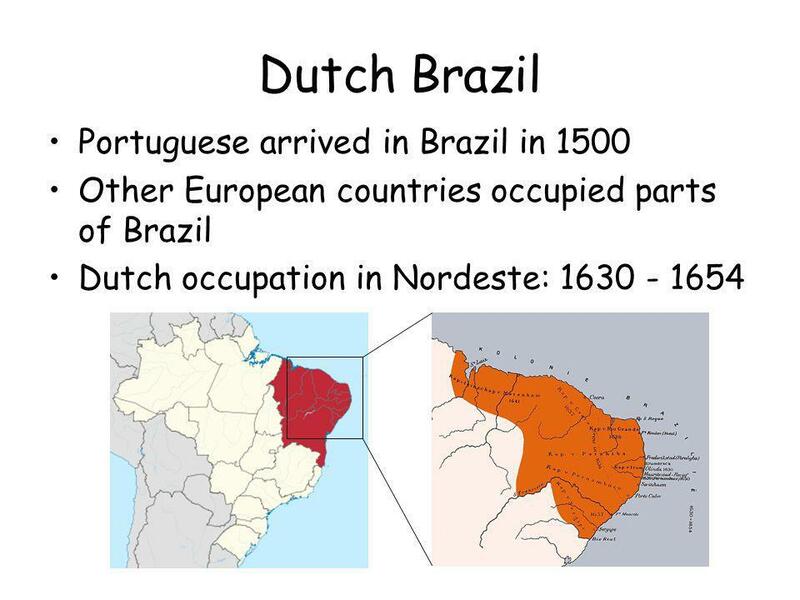 Rio de Janeiro: Typ. Leuzinger, 1899. CRULS, L. Relatório da Comissão Exploradora do Planalto Central do Brasil: Relatório Cruls. Governo do Distrito Federal, Secretaria de Fazenda e Planejamento, CODEPLAN, 1992. GIACCHINI, B. L. Seção de Ocultações da REA: < GRANATO, BRITO, SUZUKI. An. mus. paul. vol.13 no.1 São Paulo. 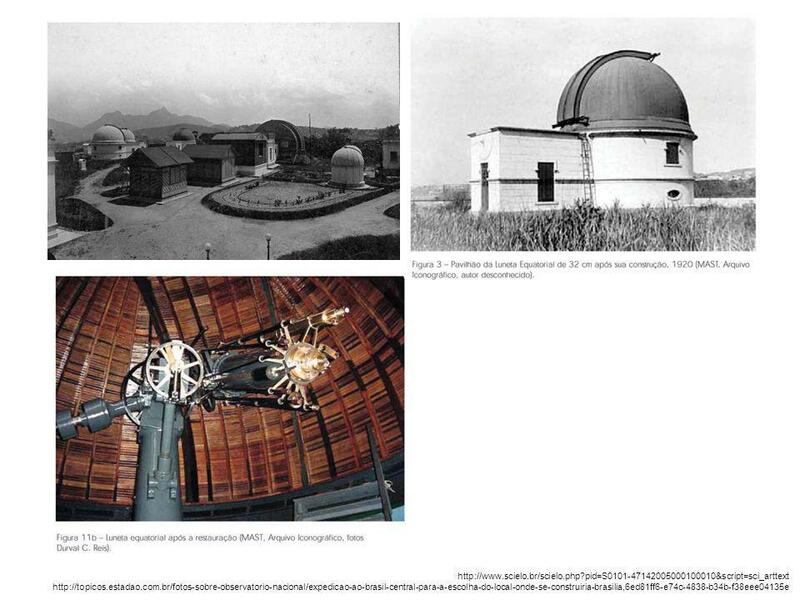 Jan./June 2005 < MATSUURA, O. O observatório no telhado. Recife: Cepe, 2010. 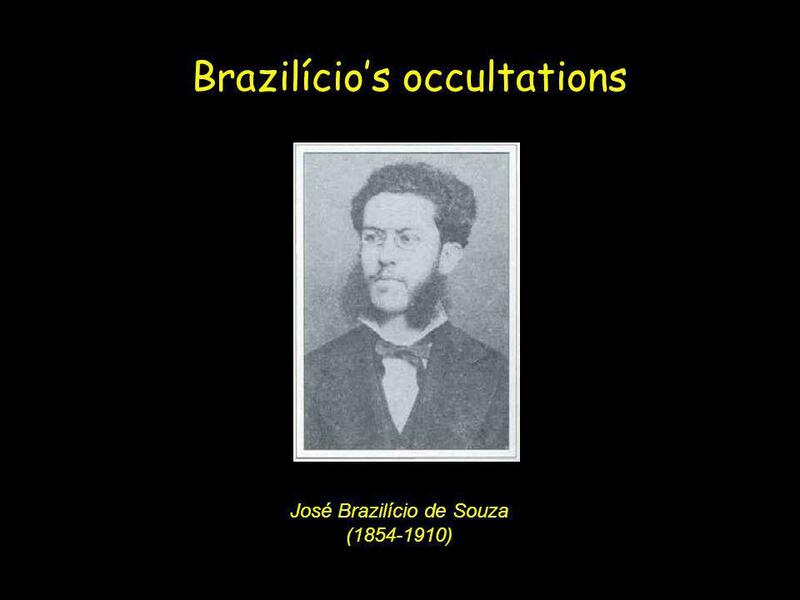 SOUSA, A. O sábio e o idioma. Florianópolis: IOESC, 2002. 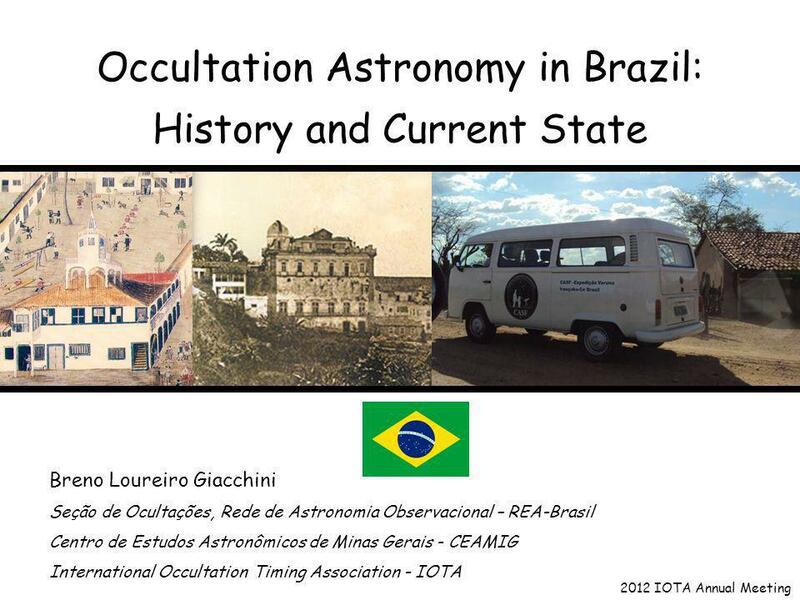 Carregar ppt "Occultation Astronomy in Brazil: History and Current State"
Uso de Alcool e Problemas no Brasil e nos E.U.A..
TELEVISION. Escola E/B de S. Silvestre Trabalho realizado por: Nome: André Filipe Mendes Mira Turma: CEF Nº 2 Dava do trabalho: De: 26/01/2010 a.